Any suggestions for a large volume tire similar to the Specialized Ground Control Extreme 2.5? This is the tire the Yo was designed around & I'm going to be putting a rigid fork on soon so I'm looking for thoughts & ideas for tires to use. I've been running Ritchey Z-Max 2.35s for years on my '91 Litespeed with a Ritchey Logic fork. I switched wheels & put the Ritcheys on my Yo but it looked weird with the round profile tire. Has any one used WTB Prowler's on a Yo? 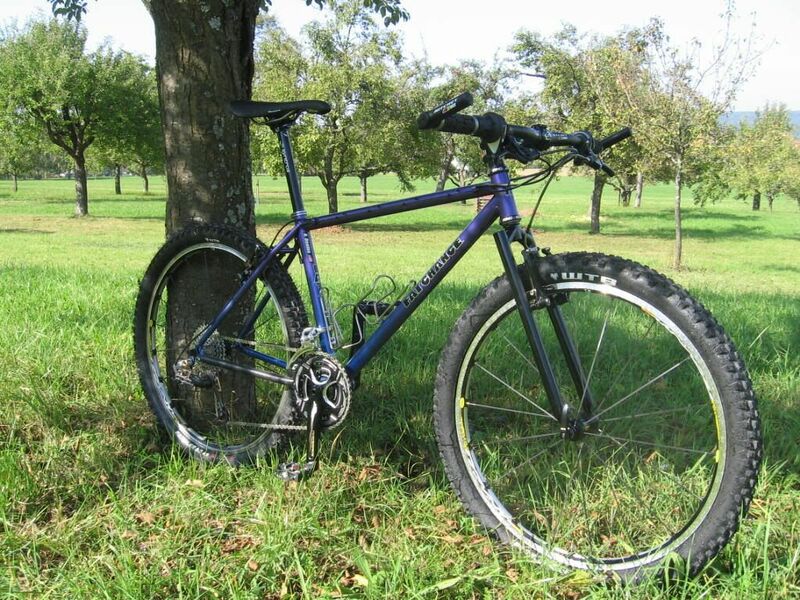 Or does Specialized have anything close to the old 2.5? I see they have a new Ground Control 2.3, is this close to the volume/profile of the 2.5? I really like the Kenda Blue Grooves. can we see the Litespeed? I've been running WTB Prowler 2.3 tires on my rigid Bro. MX up front, SS in the back, both tubeless. The MX is a round profile and the SS is a bit more squared off. Both are great all conditions tires, cept the rear tend to pack up in sticky mud. Why not stick with Specialized? I haven't tried the 2.5s but I am currently running the new Ground Control and the Purgatory and both are great. That's where I was leaning, Specialized or WTB (who developed the Ground Controls for Spec). I see they have a 2.3, is that what you're running? The Purgatory looks good in 2.4. Not even that big, actually---I have the 2.2 Purg on the front and the 2.1 Ground Control on the back of my WTB Phoenix. They are a bit lighter than the WTBs, and I have been really happy with the tread/traction. There's also variance btwn the same model--I weighed a few in the shop, and the ones I bought were about 70-80 grams lighter than others of the same size/model of Spec tire. On the Phoenix, the 2.2 Purgatory is nearly too big for my front fork (which is supposed to be able to handle 2.35).